The Lusty Lloyd Loom Model 7021 is the same as Model 6021 but without the skirt. 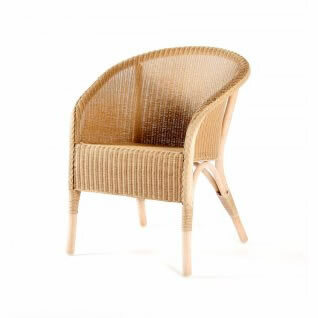 It is a delightful tub chair, with the simplicity and comfort common to all Lloyd Loom furniture. Designed by Jim Lusty circa 1930.